One of the most difficult aspects of any divorce is the economic aftermath. Now knowing and judging all the issues related may lead you to dire financial states. Considering these will help you decide well and get the best outcome from the divorce procedure. This might sound impossible yet think about the logic: if and when both the spouses have very little to fight for, there is no practical need for a lengthy divorce. Please consider mediation as a valid and responsible way of sorting out the differences and help each other separate the ways without much bitterness and loss. Otherwise, choose the best divorce lawyer in Chandigarh. A divorce is a serious legal issue. So, please try to deal with it rationally. Divorce lawyers in Chandigarh will help you stay emotionally stable and bring in the best out of the settlement. 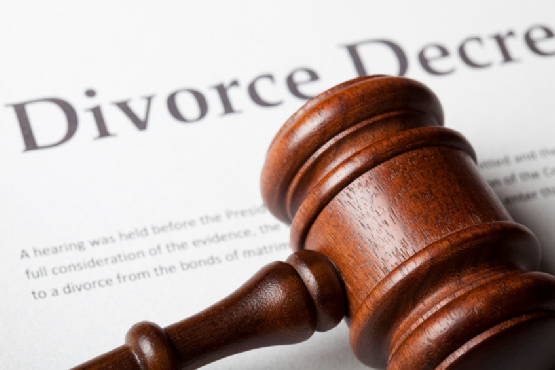 Matters like exacting revenge and taking away the home or considerable chunks of property are not good reasons to get a divorce for and using the legal procedure to meet these goals. Please think beyond the emotional hardship and try to figure out the ways to get an easier life after the process. Any good divorce lawyer will first take into the tax situation into account before he/she recommends any split of the properties involved. Paying exorbitant tax for a property gotten as alimony will never be a good financial situation. Also, the property split, if any, should happen according to the needs of the persons involved, and not to secure any other intension. A lousy divorce planning will burn a hole in your pocket. So please take time with your advocate before you settle for the arrangement. Every divorce advocate in Chandigarh should help you get a clear idea about how much you need to shell out for the procedure. The nature of the divorce, the involvement or lack of children involved, the advocate’s experience and the firm’s pay structure, your very own financial situation – each will have a bearing on the expenditure. Please be ready when the bills start to knock your door. And there’s nothing worse than an expensive divorce that leaves you poor, financially and emotionally, as well. Emotional stress and punishing tendencies are common to every divorce. Ask your advocate for divorce for ways to keep you safe from these issues and see that you never suffer more than you should, financially speaking. Also, make it a point that you make an updated will and property papers right after the divorce actions are all done. Please remember that a divorce, though started from personal differences, never stops at that, it goes on to impacting finances and social standing to a great extent. Another essential step that you need to keep in mind is you wish to live, post-divorce. This should be the starting point of all discussions with any good divorce lawyer of your choice. Build a clear idea of the future and start the negotiation process keeping that idea in mind.